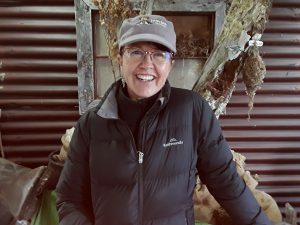 So says Suzie Denize, owner of King Country tourist attraction ‘Hairy Feet.’ Suzie hosts thousands of hobbit fans who each year make a pilgrimage to isolated Mangaotaki to experience one of the settings for their favourite movie. Hobbit-fanciers, of course, want to send lots of photos – but more about hobbits and the Internet later. Wireless Dynamics began as an add-on to PC-Soft, a Te Kuiti computer business started by Jeremy Earl in 2000 and joined by Harley Cressey seven years later. Confronted daily with the reality that the quality of copper broadband their customers endured in the King Country was “terrible” and was never going to improve, the pair installed a wireless unit on top of their building across from the Sir Colin Meads memorial. After six months proving the concept and monitoring the effects of the region’s sometimes harsh weather they were ready to go commercial. Wireless dynamics has grown to 22 sites and more than 300 customers. It’s still growing. 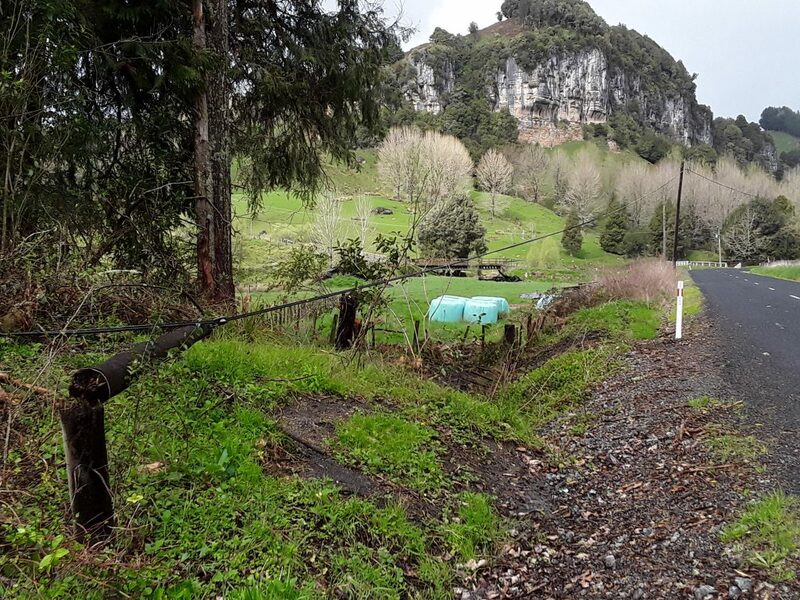 The network kicks in at Otorohanga in the north, goes south to Benneydale, east to around Mapiu (on the highway between Taumarunui and Te Kuiti), and west to the coast. It roughly matches the Waitomo District boundary. The combined PC and WISP business is run by a tight team of 4 – Clifford and Raj making up the balance. They also rely on some contractors. On a chilly and very windy early spring day Harley and Jeremy put me in their 4WD truck – with the number plate “BRDBND” – for a half hour drive west to their Oparure site. They’re off to tweak a dish for redundancy. It’s a long way up a very steep hill through a farm that grows warabi – a plant used to make sushi. Once you get off the main roads the King Country is full of surprises! The grass is wet and I’m a bit nervous about the sheer drops alongside, but I soon realise there’s a strong health and safety ethic in this business. Constructive advice about the driving comes continuously from the back seat. Site maintenance in the teeth of a howling King Country gale. I’ve only got half a mind on the conversation, as I struggle to take photos with the horrendous wind trying to wrest the tablet out of my hand. I have a sudden vision being whisked up into the air and landing back in Te Kuiti like Mary Poppins, which doesn’t seem too far-fetched in these conditions. But aided by a few spare Kg as an anchor I hang on gamely while the guys carefully climb the tower with a compass and spanner to make a small adjustment. By pointing the antenna more accurately to the next hill in the chain, they’ll improve the customer experience. Twwenty minutes later, back into the 4wd we climb. Down the cliffside, through the wasabi, and we’re on a back road towards Piopio, a small but thriving community 24km from Te Kuiti. Thriving it is because in the mid-2000s residents became concerned about the decline and formed the Project Piopio Trust to promote development. Over an excellent lunch at the Fat Pigeon café we meet another happy Wireless Dynamics customer and Piopio dweller, Rachel Laver from local boatbuilders, Laver Marine. Rachel’s husband is a cabinet maker. 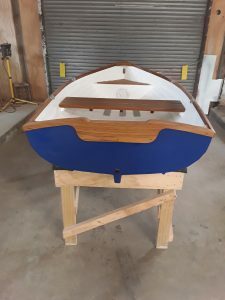 Together they have created a successful niche building high spec, individually crafted dinghies, most of which are made to order for super yachts. 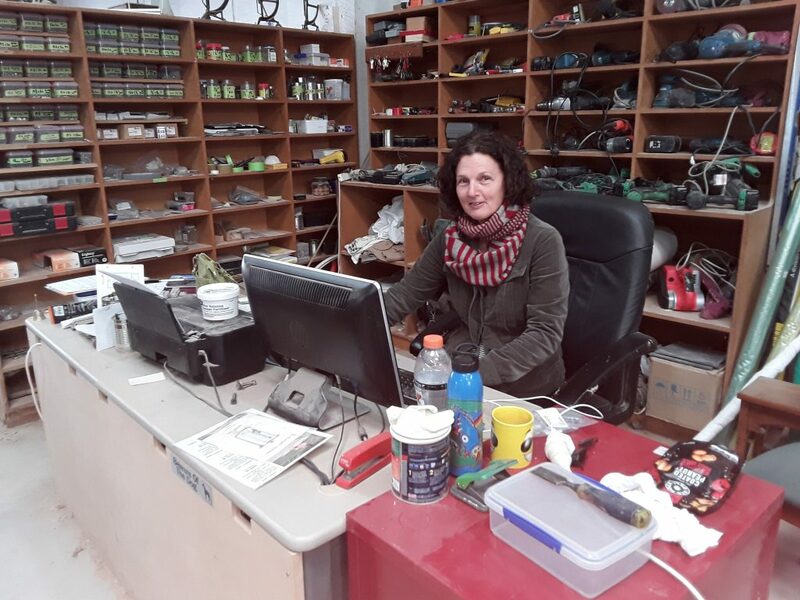 “We sell most of our boats over the Web site,” Rachel tells me. “We never meet a lot of the customers. We’re growing fast. Before Wireless Dynamics we were on copper. There were constant outages and we’d wait a week or more for Chorus to get us back on line. We tried hot spotting the mobile phone but it didn’t work. But now, with Wireless Dynamics, the response time is great. Rachel has had a few jobs round town. One is for the local District Council where she organised the Digital Enablement Plan. “We were writing up all these ideas for better broadband, but Harley and Jeremy were already in business,” she says. In another role she gives marketing support to Wireless Dynamics – its easy to sense her passion for their business. 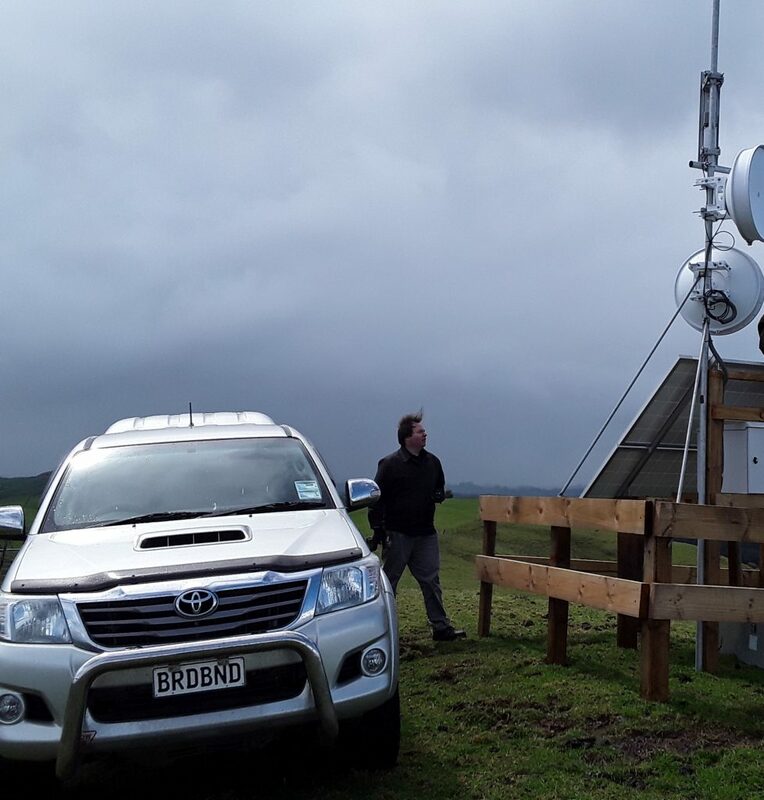 The King Country is swamped with small Community Newsletters which Wireless Dynamics support and exploit to get their message through. “They are young, vibrant newsletters for communities where the digital will exists.” The fact that Jeremy and Harley are locals helps to establish trust and credibility. Versatility is key to the Wireless Dynamics business model. 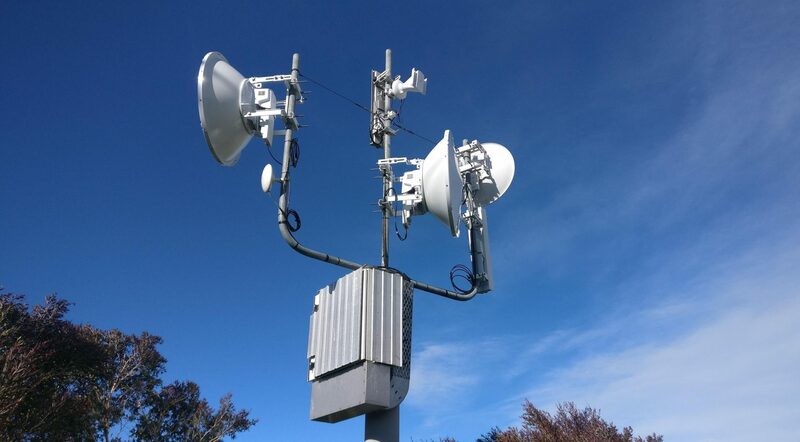 Recently an American film crew came to make a commercial for an internationally famous brand of beer, so they put in a temporary high capacity connection with extension through a small cell unit for a fortnight giving widespread coverage across the site. Similar one-off connections are frequently done for Kapa Haka festivals, indoor sports, and school galas. There’s also a free hotspot on the coast at Mangaotaki. For our final visit we head off to hobbit territory – “Hairy Feet”, a tourist attraction half an hour north on a country road. As we drive I notice the copper line serving the district strung along spindly old wooden poles by the road. At one point a pole has snapped in half and the wire drags along the grass for several metres. Good luck to anybody hoping to watch Netflix across infrastructure like that – and forget the World Cup! Its raining at Hairy Feet but that doesn’t diminish the enthusiasm of owner Suzie. “We use the Internet constantly when there are tourists here,” she enthuses while showing us around the shop. “We get really good streaming. My son is mad on online gaming – before Wireless Dynamics he had to live with CDs. I use media for work, uploading visitors’ photos to social media. Phones, EFTPOS – everything here is dependent on connectivity. And the kids now use the Internet for study without having to go offline every time we need to use the connection for business. It’s the first week of spring. The tourist season is just beginning. You get the sense that the Hairy Feet team has an extra spring in its step because of having world class Internet access. Another great example of a WISP lifting the economic and social capability of a New Zealand region.